Iranian Foreign Ministry Spokesman Bahram Qassemi has vehemently censured a suicide blast at a religious ceremony in the Afghan capital, which killed and wounded dozens of people, scholars, and clerics. In a statement on Tuesday, Qassemi expressed sympathy with the Afghan nation and government and offered condolences to the bereaved families of the victims of this tragic and unforgivable crime. The horrible operation was carried out during the ceremonies marking the birthday anniversary of the Prophet of Mercy and Compassion, which led to the martyrdom of several Sunni scholars, he said. He expressed the hope that the Afghan people, with the support of the central government, and by preserving their unity and using their past experiences in the fight against terrorism, would strongly and tactfully pass these days in which terrorist acts and brutal and menacing crimes are on rise. He also raised the hope that Afghans take firm steps towards establishing lasting peace and security in their country, stressing that in this way, they will always enjoy the full support of the Iranian government and nation. A suicide bomb blast that targeted a religious ceremony in Kabul killed scores of people and injured many more on Tuesday evening. Officials say a suicide bomber detonated his explosives inside a large wedding hall where hundreds of scholars and clerics had gathered to mark the birthday anniversary of Prophet Muhammad (PBUH). 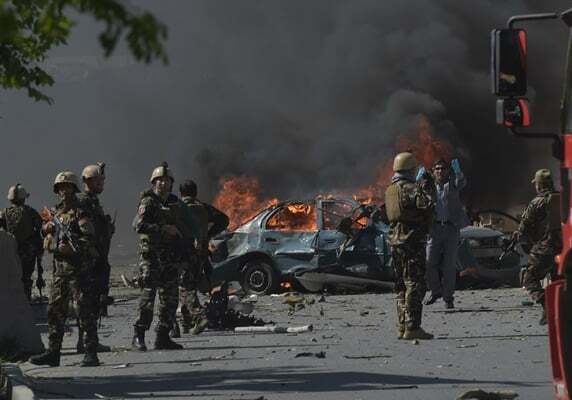 Right after the tragic incident, Afghan President Ashraf Ghani strongly condemned the attack and declared Wednesday a day of national mourning. No one or group has yet shouldered responsibility, but both the Taliban and ISIS have stepped up attacks on Kabul.